The Vice Chairman of Samsung, Jay Y. Lee is facing arrest on charges that he tried to bribe the President of South Korea, Ms. Park Geun-hye. Samsung is a South Korean multinational conglomerate company headquartered in Samsung Town, Seoul. The President of South Korea has been under investigation under various charges and now the special prosecutor in this case is seeking arrest of Samsung Head under corruption charges. Lee has been accused of bribing the President by making multi-billion dollar donations to the funds controlled by her, in order to get special favors in return. Park has been facing charges of coercing many big companies to extort money for her campaign. Lee is the only son of incapacitated Chairman of Samsung, Lee Kun-Hee, who has been convicted of corruption, bribery, evasion of taxes and other white collar crimes in the past. In the current scandal, Samsung is accused of making donations to President’s Confidante, Ms. Choi’s fund, totaling $17 million. Samsung also signed a contract of $18 million with sports management company of Choi. Lee was questioned for about 20 hours last week. He testified that he was not involved in the decision of donations by Samsung. He also notified the Court that donations were not voluntary, which raised the question that whether the company has been a victim of extortion by the government. The special prosecutor has asked the Seoul Court to issue an arrest warrant for Lee. It usually takes a few days for Court to issue such warrants. 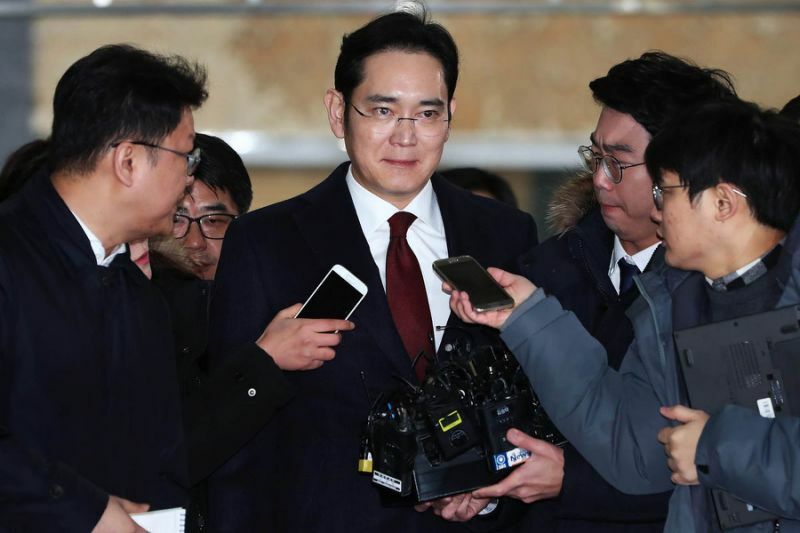 The post Samsung Head faces arrest for bribing President appeared first on TechJuice.